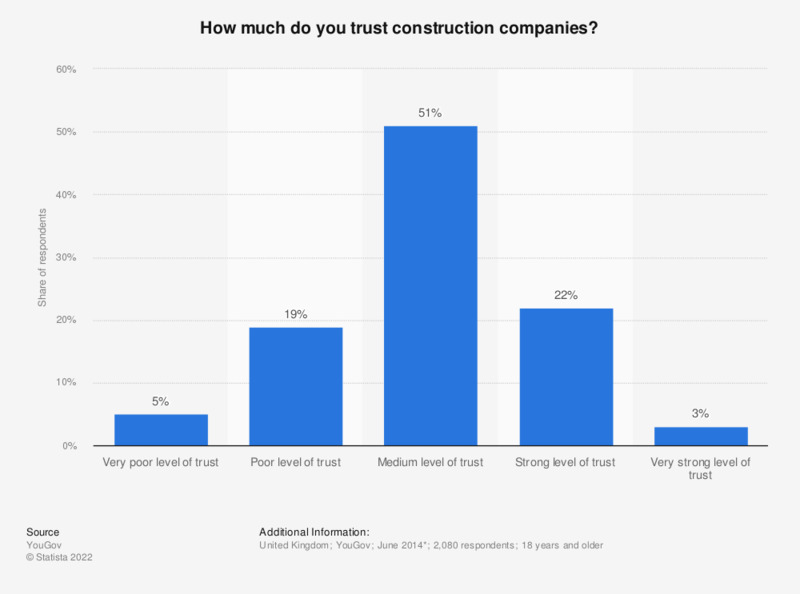 How much do you trust construction companies? This statistic shows the level of trust that adults from the United Kingdom (UK) were willing to place in construction companies in June 2014. When respondents were asked to give a value on a scale from 1 to 5, where 1 is ‘very poor level of trust’ and 5 is ‘very strong level of trust’, the mean response on this scale was 2.97, indicating a poor to medium level of trust from the UK public. How much do you trust utilities?